Flooding in your home is unpleasant and frightening. It can also cause serious damage to your precious rug. However, what many people forget is that flooding is not the only culprit when it comes to water damage. Even the smallest spills from watering a plant can cause colors to run and if a pot is left on top of a rug for a long time, unsightly marks may be left behind Here at Rug Cleaning Manhattan, we have a great deal of experience in treating water damage and we know – first-hand – that time is of the essence. If your wet or sodden rug is not dealt with immediately, not only may it be impossible to save it but it might also become a breeding ground for mildew and mold, and this could jeopardize the health of you and your family. If your rug is water-damaged, it is critical to call experts as soon as possible. 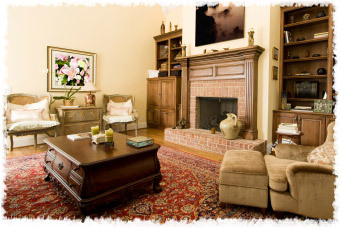 And when you use our company, we promise that if you entrust your rug to us, our capable, professional staff will use all their skill to restore your piece to its original state. Our technicians are extremely experienced, and have extensive knowledge in a wide range of areas. We know exactly which materials can be saved, and which cannot, because we use only the most up-to-date techniques, we can advise you quickly on the most efficient and cost-effective way to treat your rug, our years of experience and professionalism will prove. The most important thing to remember, if your rug is water-damaged then call for help immediately. Seek help without delay and call a professional. And be sure that if you decide to leave your rug in our capable hands, we will not disappoint you. We are just a phone call away on (212) 677-7177. Call us now and speak to one of our friendly customer service staff. We will be happy to advise you on the wide range of options we provide.